The new Century has brought about many changes to the Wayward Navigator Bed and Breakfast. The addition of our new luxury suite has dramatically changed the look of our home and has given us the ability to provide additional service and selection for our guests. We are proud to present The Empress Suite as our largest and most luxurious state room. The Empress radiates a feeling of intimate luxury and leisure. The Suite is located in a separate wing of the Wayward Navigator providing spacious and well-appointed accommodations with an additional level of privacy. The suite features beautifully crafted cherry and mahogany furniture and wainscott paneling. The rich warm colours are offset by the classic moldings along the floor and the vaulted ceiling. Touches reminiscent of the golden age of ocean travel. 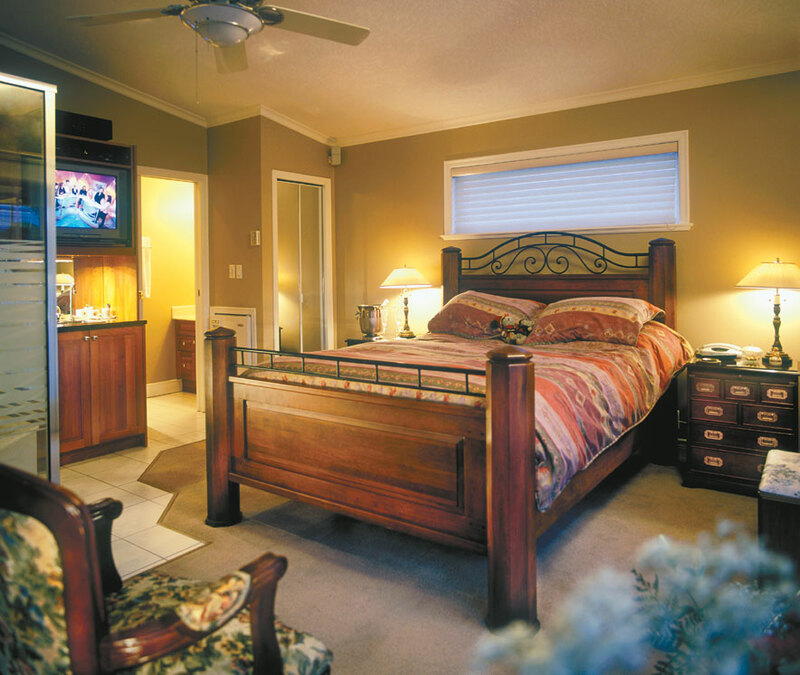 Our "Empress Suite" has 360 square feet of luxury living dedicated to your personal and private enjoyment. A multitude of amenities are offered in order to provide you with a pleasant and restful night. Your stateroom's elegant first class furnishings include a Queen size solid cherry four poster bed with goose down comforter, an in-room onyx jaccuzi tub and shower, a marble fireplace and a very comfortable oak and leather recliner. To provide you the utmost in comfort, your room is provided with a refrigerator and wet bar as well as in room digital stereo cable TV with remote cable TV and stereo is provided for your enjoyment. Luxurious cotton terry bath robes are provided for your use. 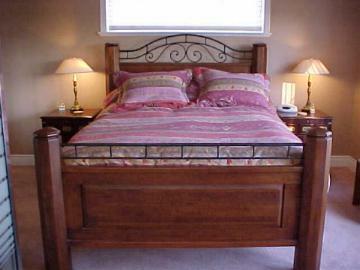 "Bob Timberlake" Queen size four poster solid cherry bed with beautiful goose down comforter with brass accented mahogany side tables. 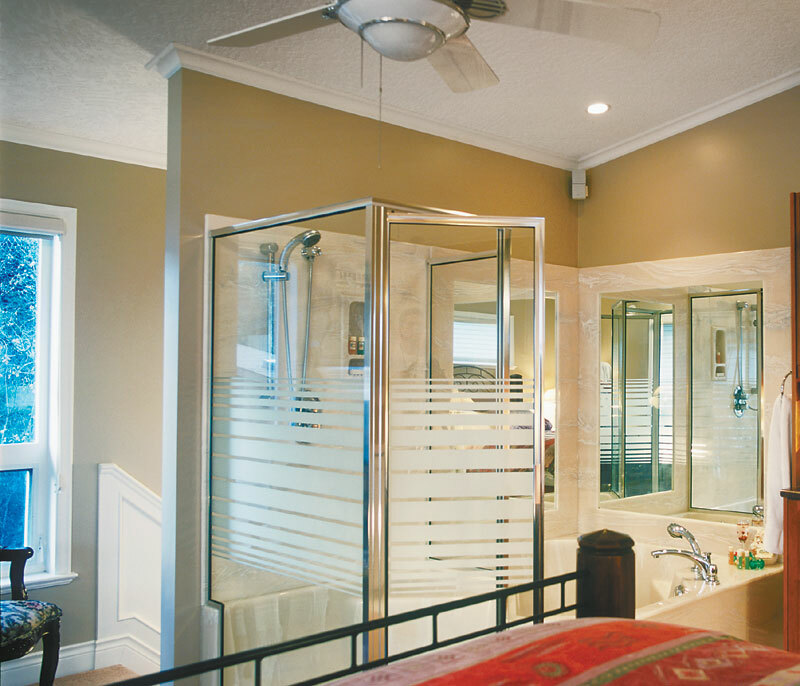 Pamper yourselves in your absolutely gorgeous, combination Jacuzzi bath tub and shower for two. Private ensuite bathroom with toilet and vanity sink. 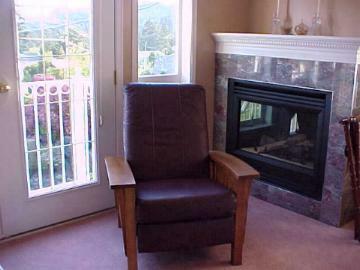 Sunny and bright, double French doors open to a small balcony with a lovely view. Full digital cable with multiple movie channels, sports and music stations. Exceptional Quality Comfort and Value. 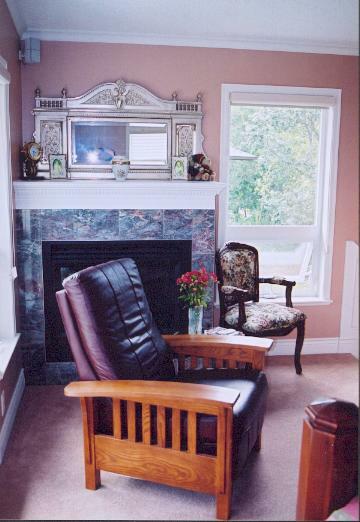 Attention to detailing such as wainscoting, vaulted ceiling, extensive use of marble and onyx, classic 1930's Hunter Fan and choicest selection of window covering, tile and plush carpeting combine to make this an ultimate retreat for relaxation and romance! 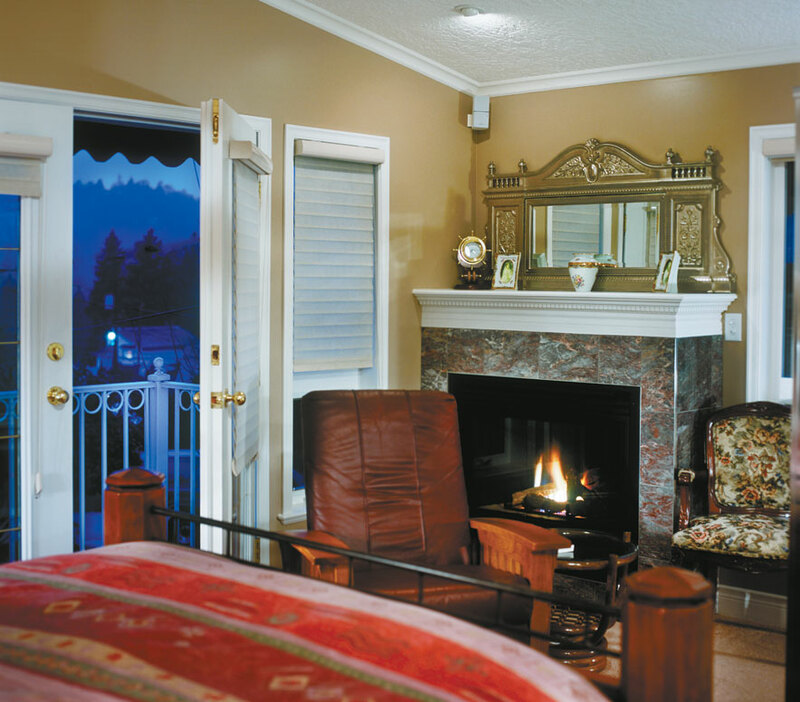 We've dedicated this suite to the memory of Canada's Empress Ships. 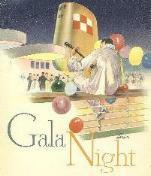 These were Canada's finest Passenger Liners and sailed under the Canadian Pacific banner. 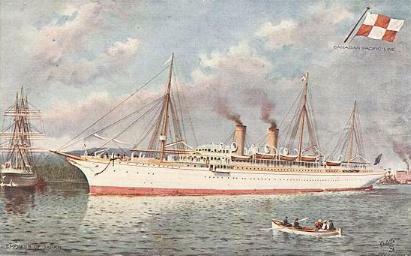 The distictive white hulled "Empress" liners serviced both the Pacific and Atlantic trade. They were elegant vessels and a source of pride for Canadians for many decades. Upon the ocean's level brine. There's beauty in the deep. We are not associated with Canadian Pacific or the Canadian Pacific Hotel "The Empress" but are impressed and inspired with that company's long history of quality service to the travelling public.